Hey everyone! Today I wanted to share with you a couple invitations that I've recently made!! The first one is a Cookie Monster / Milk & Cookies theme. 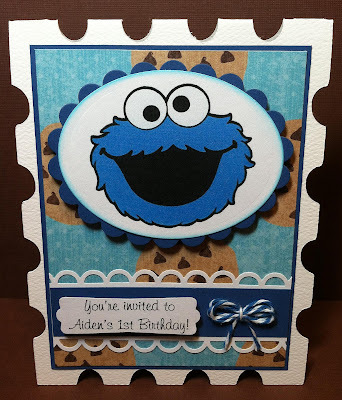 Cookie Monster is clip art.. I must confess :/ I cut him out using my oval and scallop oval spellbinders. The card shape is from Life's a Party. 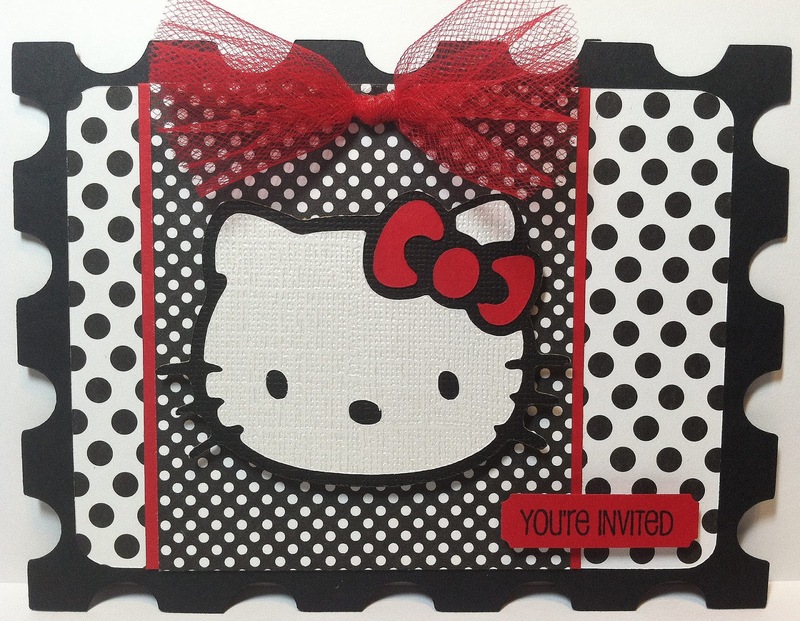 Second Invitation is the Black & White polka dot themed Hello Kitty invitation. It also has red accents. Hello Kitty was cut from Hello Kitty greetings. The card background was cut from Art Philosophy. Super cute invitations! Love the shape cards you used. mmmmm Cookies. Love it Candace. They are super cute! awesome!!! you make the cutest invitations!!! These are sooo cute Candace!